Jean Frs. Grégoire was born circa 1689 at QC, Canada. He married Geneviève Lienard, daughter of Sébastien Lienard and Françoise-Marie Pelletier, on 12 November 1710 at Ste. Foy, Québec, QC, Canada. Jean Frs. Grégoire died before November 1737 at QC, Canada. Geneviève Lienard was born on 12 October 1673 at Sillery, Québec, QC, Canada. She was baptized on 14 October 1673 at Sillery, Québec, QC, Canada. She married Jean Frs. Grégoire, son of François Grégoire and Mathurine Bélanger, on 12 November 1710 at Ste. Foy, Québec, QC, Canada. Geneviève Lienard died on 5 May 1759 at QC, Canada, at age 85. She was buried on 6 May 1759 at Québec, QC, Canada. François Grégoire was born circa 1665 at Ste. Anne, Montpelier, Languedoc, France. He married Mathurine Bélanger, daughter of François Bélanger and Marie Guyon dit Dion, on 26 April 1688 at Neuville, Portneuf, QC, Canada. François Grégoire died on 25 May 1737 at Neuville, Portneuf, QC, Canada. Mathurine Bélanger was born on 11 June 1652 at Québec, Canada. She married François Grégoire, son of Théophile Gregoire and Madeleine Clemence, on 26 April 1688 at Neuville, Portneuf, QC, Canada. Mathurine Bélanger died on 18 January 1698 at Neuville, Portneuf, QC, Canada, at age 45. Théophile Gregoire was born at Bourgeois de Ste. Anne, Languedoc, France. He married Madeleine Clemence at Ste. Anne, Languedoc, Montpelier, Languedoc, France. Madeleine Clemence married Théophile Gregoire at Ste. Anne, Languedoc, Montpelier, Languedoc, France. M. Madeleine Martineau was born. She married Étienne Perreault, son of Étienne Perreault and M. Geneviève Landry, on 15 September 1807 at Ste. Marie, Beauce, QC, Canada. Étienne Perreault married M. Henriette Morin dit Valcourt, daughter of François Morin dit Valcourt and Suzanne Coulombe. Étienne Perreault was born. He married M. Geneviève Landry, daughter of Pierre Landry and M. Anne Gagnier ou Gagné, on 7 February 1774 at Ste. Marie, Beauce, QC, Canada. M. Geneviève Landry was born. She married Étienne Perreault, son of François Perreault and M. Brigitte Drouin, on 7 February 1774 at Ste. Marie, Beauce, QC, Canada. M. Brigitte Drouin was born. She married François Perreault, son of Officier de Milice Bertrand Perreault and M. Angélique Simon, on 18 February 1743 at Ste. Famille, Île d'Orléans, Montmorency, QC, Canada. J. B. Augustin Côté was born. He married M. Mad. Bergeron, daughter of Paul Bergeron and M. Mad. Poulet, on 6 June 1763 at St. Antoine de Tilly, Lotbinière, QC, Canada. J. B. Augustin Côté died say 24 February 1794. David Page was born on 15 August 1841 at Galway, Ireland. He married Margaret Henrietta Lynch, daughter of Timothy Lynch and Hester Cary, on 12 February 1866 at Charlestown, Suffolk, MA. David Page was CENSUS 1870 in 1870. He was CENSUS 1900 in 1900. 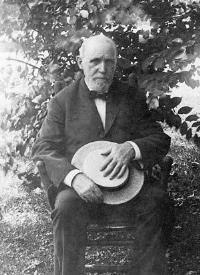 He died on 6 June 1922 at Pittsburgh, Allegheny, PA, at age 80. He was buried on 9 June 1922 at St. Mary's Cemetery, Lawrenceville, Pittsburgh, Allegheny, PA.
Margaret Henrietta Lynch was born on 2 February 1847 at New Bedford, Plymouth, MA. She married David Page, son of John Page and Mary Hickey, on 12 February 1866 at Charlestown, Suffolk, MA. Margaret Henrietta Lynch died on 6 May 1943 at Pittsburgh, Allegheny, PA, at age 96. She was buried on 10 May 1943 at St. Mary's Cemetery, Lawrenceville, Pittsburgh, Allegheny, PA.
Catherine Barbara Kroth was born on 3 March 1919 at Paw Paw, Van Buren, MI. She died circa 15 January 2012 at FL. Catharine Louise Coskrey was born on 2 March 1919 at Summerton, Clarendon, SC. She married Richard James Page, son of Frank T. Page and Elizabeth Louise Hogan, on 30 November 1944 at Foggia, Italy. Catharine Louise Coskrey died on 28 May 1994 at Evergreen, Jefferson, CO, at age 75. Clare Lee Smith was born on 19 June 1916 at Charlotte, Mecklenburg, NC. She married Edward Francis Page, son of Frank T. Page and Elizabeth Louise Hogan, on 27 December 1947 at Reno, Washoe, NV. Clare Lee Smith died on 5 July 2004 at Richmond, Henrico, VA, at age 88. She was buried on 10 July 2004 at Sharon Memorial Park, Charlotte, Mecklenburg, NC. Margaret Elena Coffey was born on 10 December 1915 at Lowell, Middlesex, MA. She married John David Page, son of Frank T. Page and Elizabeth Louise Hogan, on 2 October 1943 at New York, NY. Margaret Elena Coffey died on 10 December 2011 at Wilbraham, Hampden, MA, at age 96. David Francis "the Duke" Page was born in December 1870 at PA. He married Anne (or Anna) O'Donnell before 1920. David Francis "the Duke" Page died on 12 November 1944 at Pittsburgh, Allegheny, PA, at age 73. He was buried on 16 November 1944 at St. Mary's Cemetery, Lawrenceville, Pittsburgh, Allegheny, PA.
Austin W. Page was born in 1887 at PA. He married Catherine M. Clinton circa 1913. Austin W. Page died on 5 January 1934 at Penn Township, Allegheny, PA. He was buried on 8 January 1934 at St. Mary's Cemetery, Lawrenceville, Pittsburgh, Allegheny, PA.
Maude E. Page was born in February 1885 at PA. She died on 7 September 1965 at Pittsburgh, Allegheny, PA, at age 80. She was buried on 9 September 1965 at St. Mary's Cemetery, Lawrenceville, Pittsburgh, Allegheny, PA.
Clara Gertrude "Gert". 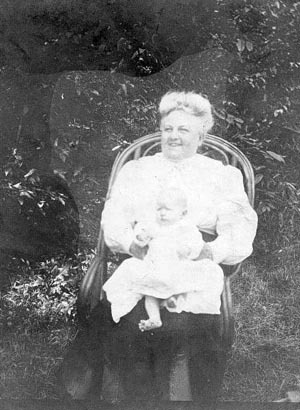 Page was born in April 1877 at PA. She was baptized on 6 May 1877 at Pittsburgh, Allegheny, PA. She married Hiram Beuregard Stout M.D., son of J. W. Stout and Ruth ( ) Stout, in 1904. Clara Gertrude "Gert". Page died on 24 September 1963 at Pittsburgh, Allegheny, PA, at age 86. She was buried on 27 September 1963 at St. Mary's Cemetery, Lawrenceville, Pittsburgh, Allegheny, PA.
Blanche Bertha Page was born in February 1883 at PA. She was baptized on 5 March 1882 at Pittsburgh, Allegheny, PA. She died after 1930 at Ft. Lauderdale, Broward, FL. Mary H. Page was born in August 1873 at PA. She died on 28 April 1951 at Pittsburgh, Allegheny, PA, at age 77. She was buried on 2 May 1951 at St. Mary's Cemetery, Lawrenceville, Pittsburgh, Allegheny, PA.
May Josephine Page was born in March 1876 at PA. She was baptized on 28 March 1875 at Pittsburgh, Allegheny, PA. She died on 30 March 1954 at Pittsburgh, Allegheny, PA. She was buried on 2 April 1954 at St. Mary's Cemetery, Lawrenceville, Pittsburgh, Allegheny, PA.
Hiram Beuregard Stout M.D. was born on 25 February 1862 at Pleasants County, near St. Marys, WV. He married Clara Gertrude "Gert". Page, daughter of David Page and Margaret Henrietta Lynch, in 1904. Hiram Beuregard Stout M.D. died on 19 November 1917 at Atlantic City, Atlantic, NJ, at age 55. He was buried on 23 November 1917 at St. Mary's Cemetery, Lawrenceville, Pittsburgh, Allegheny, PA.
Timothy Joseph Coffey was born on 6 January 1886 at Lowell, Middlesex, MA. He married Bertha Beatrice Bagshaw, daughter of Walter Henry Bagshaw and Margaret Maguire, on 24 July 1906 at Lowell, Middlesex, MA. Timothy Joseph Coffey died on 1 June 1958 at Lowell, Middlesex, MA, at age 72. Edward L. Hogan was born on 6 March 1830 at Tipperary, Ireland. He immigrated in 1849. He was naturalized. He married Anna O'Neil, daughter of "Bloody" Hugh O'Neil, in 1860. Edward L. Hogan was employed between 1871 and 1883 at Challinor & Hogan, Southside, Pittsburgh, Allegheny, PA. He was CENSUS 1880. He was CENSUS 1900. He died on 24 March 1915 at Pittsburgh, Allegheny, PA, at age 85. He was buried on 27 March 1915 at St. Mary's Cemetery, Lawrenceville, Pittsburgh, Allegheny, PA.
Anna O'Neil was born in 1834 at Tipperary, Ireland. She immigrated in 1848 to Philadelphia, Delaware, PA. She married Edward L. Hogan, son of James Hogan and Ellen Cleary, in 1860. Anna O'Neil died on 26 February 1888 at Pittsburgh, Allegheny, PA. She was buried on 28 February 1888 at St. Mary's Cemetery, Lawrenceville, Pittsburgh, Allegheny, PA. She was buried on 23 February 1900 at Calvary Cemetery, Pittsburgh, Allegheny, PA.
Anne Dubois was born on 26 July 1673 at Ste. Anne, QC, Canada. She married René Dumais (Demers) circa 1690 at QC, Canada. Anne Dubois died on 8 February 1712 at age 38. René Dumais (Demers) married Anne Dubois, daughter of François DuBois dit LaFrance and Anne Guillaume, circa 1690 at QC, Canada.